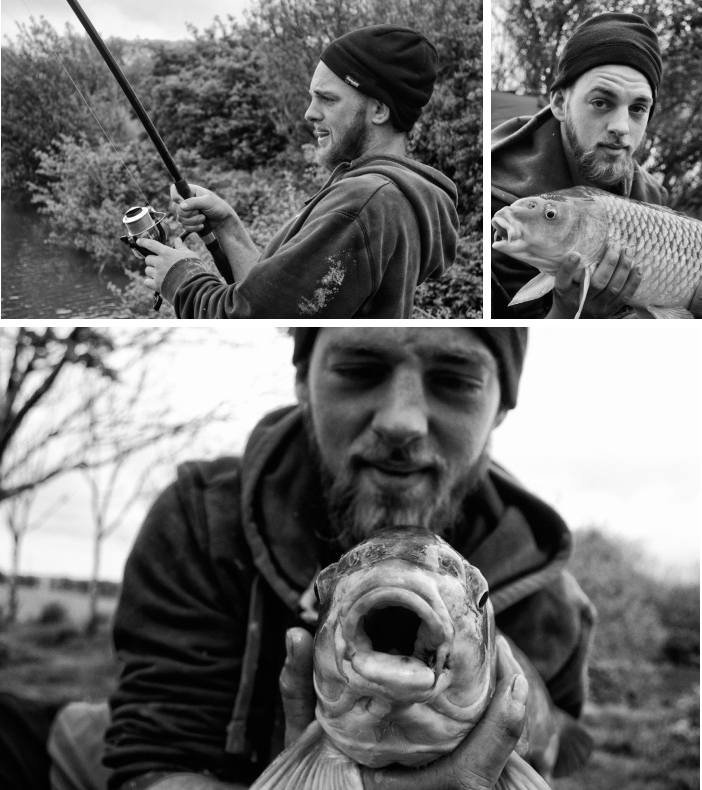 As my trusty twitter followers will be aware, I have recently started a project on carp fishing. This weekend, I spent my Saturday night at a Cornish lake with two anglers. For 24 hours I documented their catches, preparation and set up. This was my second ever trip to a carp lake. The first I treated as a kind of reccy, having no idea what to expect I went along with my camera, my ignorance and most importantly; my curiosity. As I knew very little about carp fishing before making the trip, I will assume you too are unaccustomed to the inns and outs. So, I’ll start with five real basics. 1. What is a carp? A fish. A freshwater fish from the Cyprinid Family, native to Europe and Asia. 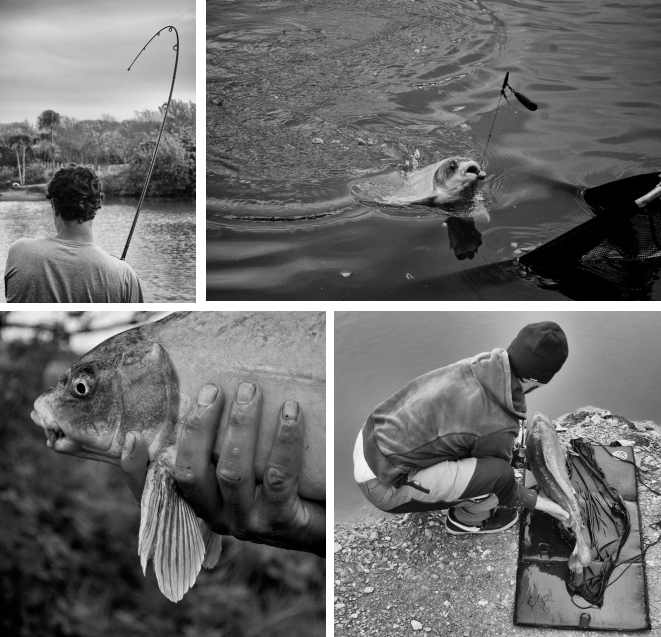 The carp has now been widely introduced to many waters worldwide to be caught as a recreational/professional sport or, in some countries, as food. 2. 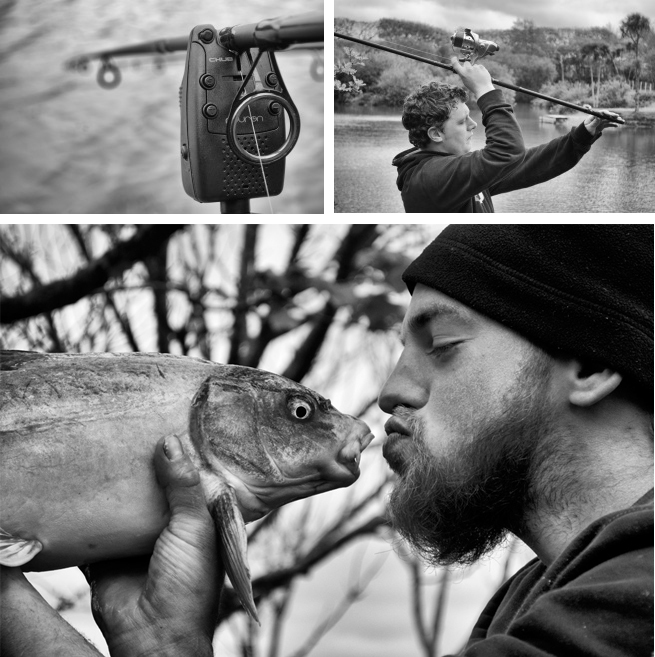 Whats the main aim of carp fishing as a sport? To catch the biggest/rarest fish. The weight of a fish is recorded and noted, with anglers constantly aiming to better their personal best. In September 2014 the European record for the heaviest carp caught surpassed 100lb. According to the Guinness Book of Records 2015, the Largest carp spices is the Siamese Giant Carp, with the current record weight of 225lb. Anglers also travel thousands of miles across the world in the hope that they will bag a rarity. 3. So, how’s it done? With a rod, a hook, a bit of bait and a lot of patience. This explanation could go on forever. There are endless varieties of rigs, baits and hooks that could be used. 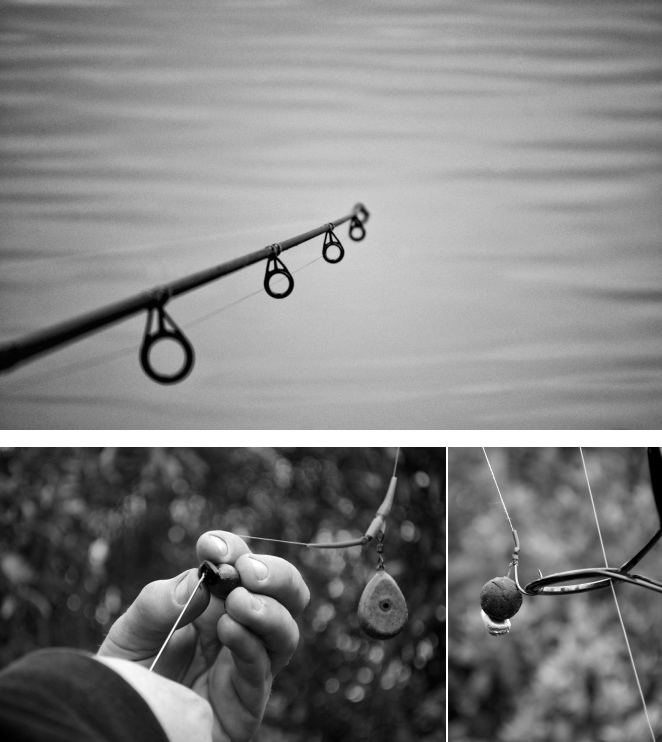 A ‘rig’ is an assembly of hooks, sinkers, bobbers, swivels, beads or other tackle onto which the bait is attached. In Europe, most anglers use ‘boilies’ as bait; balls of boiled paste which usually combine milk proteins, soya flour, bird foods and fishmeals. The odour and appearance of the bait can make all the difference. Carp aren’t so fussy though and can be caught using bits of bread and sweetcorn. 4. 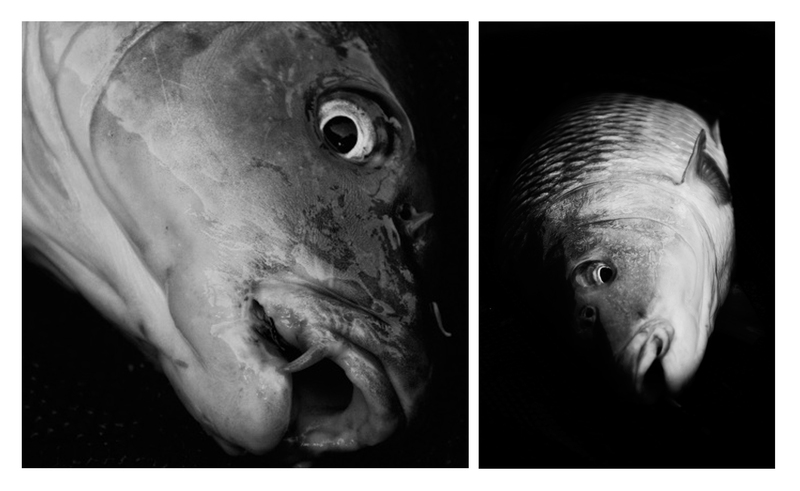 What happens when a fish is caught? A fight! The fortunate angler must fight the fish in, taking care not to bully the fish- which could result in injury. Once the fish is tired of fighting and is unlikely to do itself harm once on land, a net is used to retrieve it from the water. The carp is then placed on a ‘landing mat’, a well padded mat where the fish can be unhooked, inspected, handled and weighed before being returned to its waters. 5. And then? The act of being patient resumes. Rods are replaced in the water prepared for another catch. The line is fed back through the ‘bite alarm’, a device which bleeps when a fish tugs on the line, alerting the angler that a fish may be hooked. Then the waiting game resumes once again.